Ethylene propylene diene polymethylene (EPDM) rubber is one of the fastest growing synthetic rubbers in the market. It is widely used in many fields due to its easy processing and high resistance against outdoor conditions compared to other rubber types. However, like all organic compounds, over time it is degraded under weathering conditions such as radiation, heat, ozone and chemical media, all of which can contribute to loss of bulk properties and reduce its service life. Cracks, discoloration, breakage, or staining can occur on the surface of visible automotive profiles due to the effect of UV light. These phenomena are definitely undesirable. 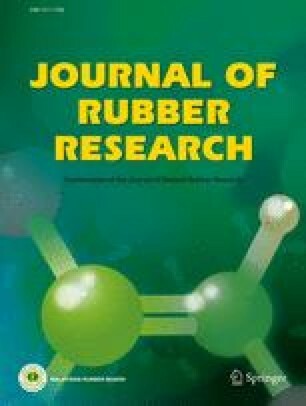 In this study, five different EPDM rubber compounds (control and four different Flamestab® NOR 116 concentrations) were produced. The effects of the Flamestab NOR 116 were investigated by mechanical and rheological tests and ageing using the internationally recognised Florida artificial weathering test. The aged surfaces were visually scrutinised and surface morphological changes were examined via scanning electron microscopy (SEM) and energy dispersive X-ray (EDX) analyses. The results obtained showed that Flamestab® NOR 116 can be used as a UV stabiliser for EPDM rubber applications if it is added in amounts of between 1.25 and 2.0 phr.